There is evidence that the end of the LIBOR won’t affect you or others much. Many of the contracts and loans that rely on the LIBOR have clauses that stipulate a second number to determine changing interest rates. Other contracts include language that will allow the bank to substitute a new number to replace LIBOR in their calculations. These agreements will not require change or renegotiation when LIBOR ends. The alternative number will just replace the LIBOR and everything will be normal. It’s hard to tell how many of these contracts are out there that have these safeguards. However, with several to work this out many experts think that by 2021, the market will be ready to move away from LIBOR. Many financial groups are working to find a new figure to replace the LIBOR in determining rates. Several alternatives have been put forward. 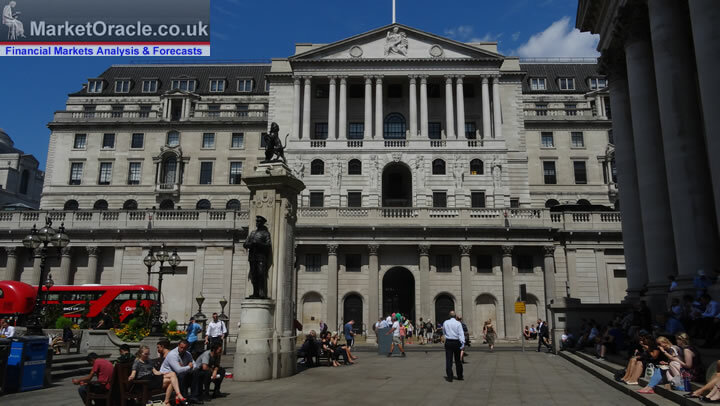 The Bank of England is planning to have a replacement rate called the Sterling Overnight Index Average (SONIA). The US Treasury started releasing their alternative, the Secured Overnight Financing Rate (SOFR), in 2018 and expects to have most new American loans using it by 2021. These new numbers are improved versions of the LIBOR, designed to provide the same information with improvements to the LIBOR’s formula. Other existing numbers have also been suggested by various banks. If a single option can become predominant by 2021, the transition might be relatively smooth. If the transition happens as planned, the loan market might well end up much more secure then it is using the LIBOR. This is because the LIBOR is very easy to manipulate. The number in question is not based on what inner-city London banks paid in interest, but what they estimate the interest of their loans will be. This makes the number subjective. On top of this, there are only a few inner-city London banks. As a result, the LIBOR can be manipulated by a handful of financiers to their advantage. It was this sort of manipulation that played a major role in the 2008 financial collapse. Since the majority of reverse mortgages are tied to LIBOR, we can expect to have safer calculations in the future. You can check out a calculator here https://reverse.mortgage/calculator. Therefore, whatever number comes to replace it will be a stronger indicator of market forces, and a safer tool. As the deadline for the phaseout nears, many financial experts suggest that the LIBOR should be extended. They argue there is not enough consensus between the major markets about what should replace the LIBOR. The group that produces the LIBOR are preparing to continue calculating it for many years after 2021. While the UK won’t let it be officially published after that date, there is a strong possibility that they will change their minds. If the abandoning the LIBOR would result in financial chaos, as some experts think it will, the regulators may keep it just to calm the market. Much of the panic about the upcoming phase out might be over nothing then. Whether a new number is agreed to or not, the renegotiation of $350 trillion in contracts and loans will be long and arduous. Even if the new number is close to the LIBOR, replacement will affect every part of the contract. Every adjustment will then have to be agreed to by the parties involved in the contract. This self-adjustment can’t be done automatically. It will have to be worked out contract by contract. One group does stand to make a lot of money by this. Contract lawyers will likely have to work overtime to solve all these problems. Even if some of this can be solved before 2021, it will ensure there is plenty of work for everyone involved. The phase-out of the LIBOR offers a long list of possible impacts to affect your financial profile. Flexible contracts could ensure an easy transition. A new benchmark number could be agreed on and reshape the financial market. Abandoning the corrupt LIBOR could provide the market with greater safety. The risk of financial chaos could lead the UK to back down and keep the LIBOR. If the number does change the chances are it will shake the market as millions of contracts are renegotiated. Whatever the potential impacts, the reality is we need to start now to prepare for what might be a very disruptive transition.